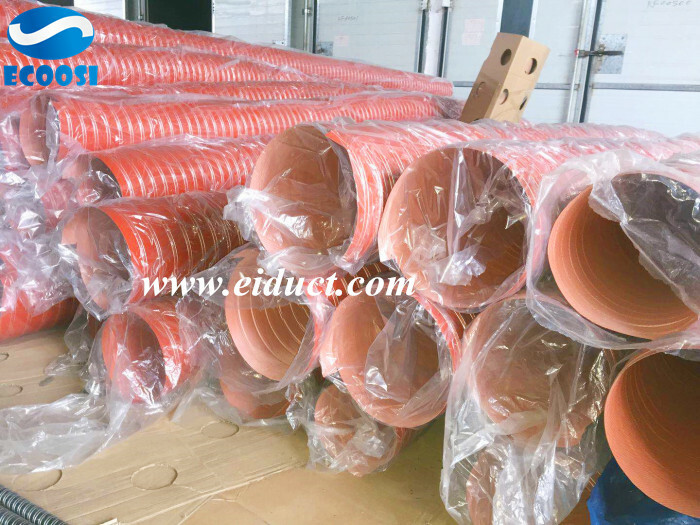 Ecoosi High Temp Silicone Air Duct Hose is a high temperature brake cooling flexible ducting hose that ideal for brake cooling system applications. 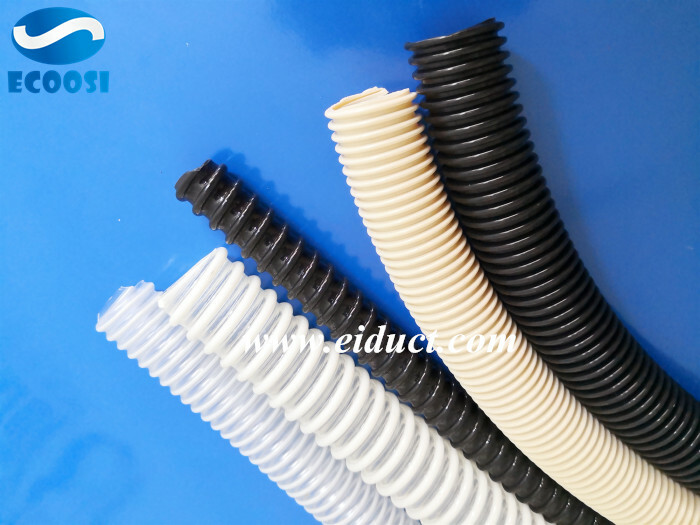 Ecoosi 2-ply Silicone Rubber Air Duct Hose is popular for brake cooling ducts due to its high temperature capability (maximum 310°). 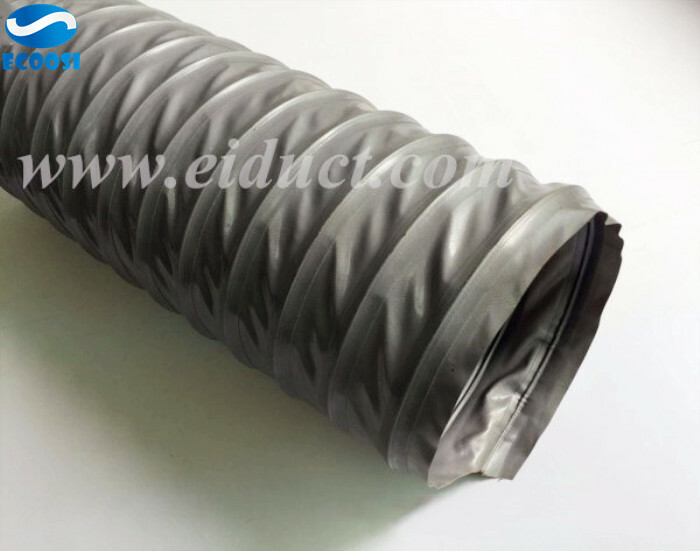 Ecoosi industrial Fabric Duct hose is a flexible lightweight duct hose made by durable PVC coated polyester fabric. 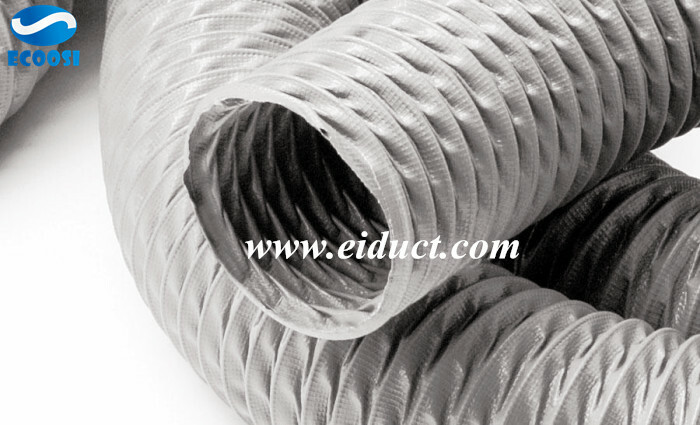 This fabric flexible duct hose can be used in a variety of industrial air movement and blower applications. 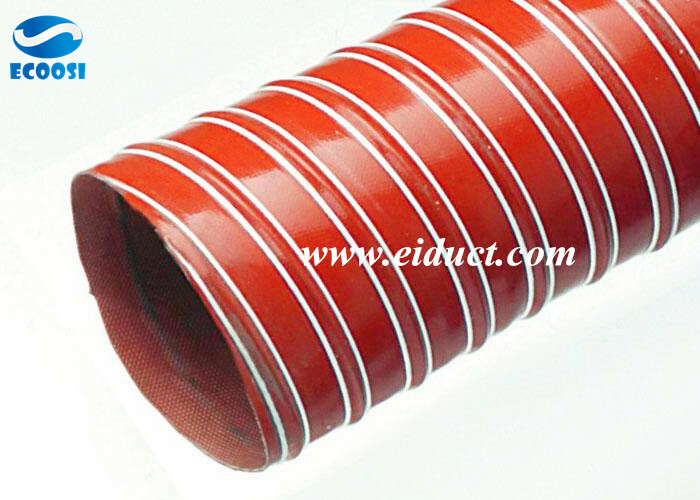 PVC Fabric Air Hose is ideal for general air ventilation, mobile chillers, and light dust movement applications. Ecoosi black hot air silicone 2 ply duct hose is ideal for granulate dryers in the plastics industry. 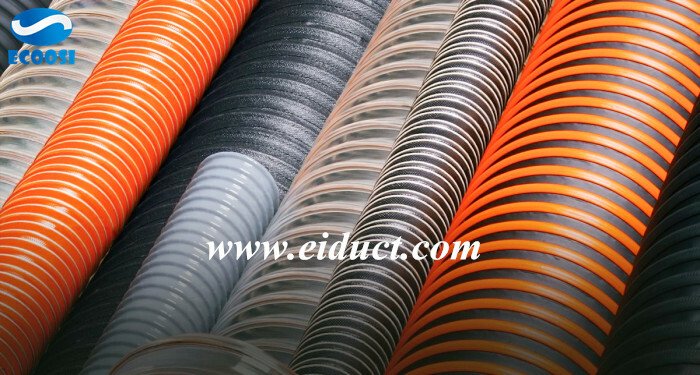 Flexible ducting hose from Ecoosi Industrial Co., Ltd. Ecoosi provide silicone flexible ducting and hose and polyester fabric ducting hose for air ventilation, exhaust transfer, HVAC needs. 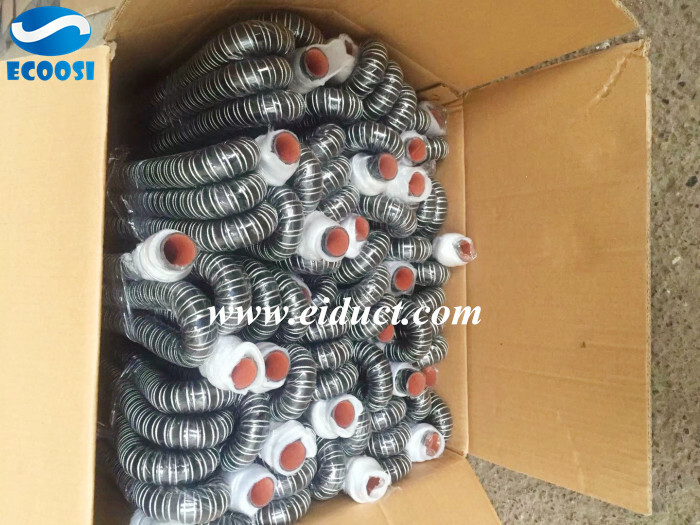 Industrial flexible air ducting hose from Ecoosi Industrial Co., Ltd.
Industrial flexible air ducting hose from Ecoosi Industrial Co., Ltd. Our flexible air ducting hoses are ideal for moving air, chemical smoke, abrasive, high temperature applications. 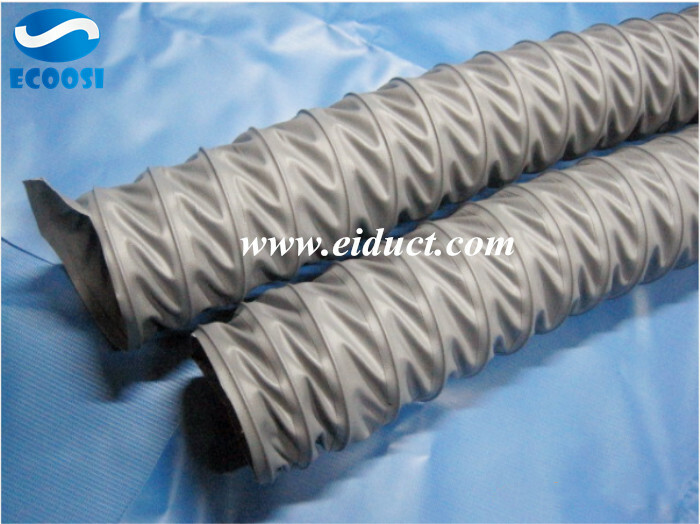 PVC coated polyester fabric hose from Ecoosi Industrial Co., Ltd.
Ecoosi industrial PVC coated polyester fabric air duct hose from Ecoosi Industrial Co., Ltd. The PVC coating makes the hose more durable and increases the flexural strength, allowing the hose to bend continuously without damage. 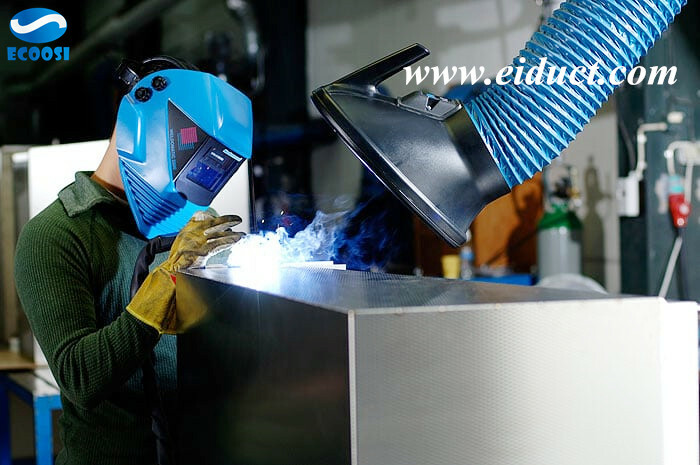 Industrial fume extraction hose from Ecoosi Industrial Co., Ltd. Ecoosi polyester fabric hose has chemical resistance that ideal for use in chemical fume extraction applications. 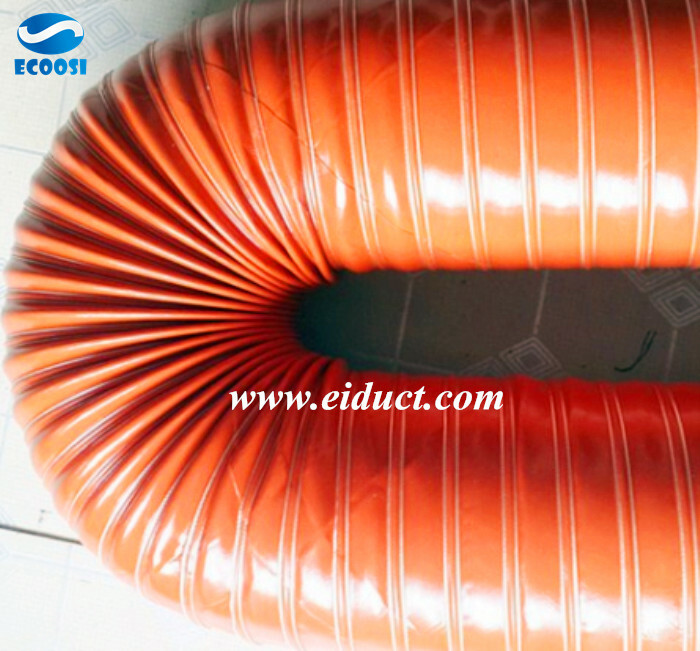 Flex heat resistant silicone air duct hose from Ecoosi Industrial Co., Ltd.